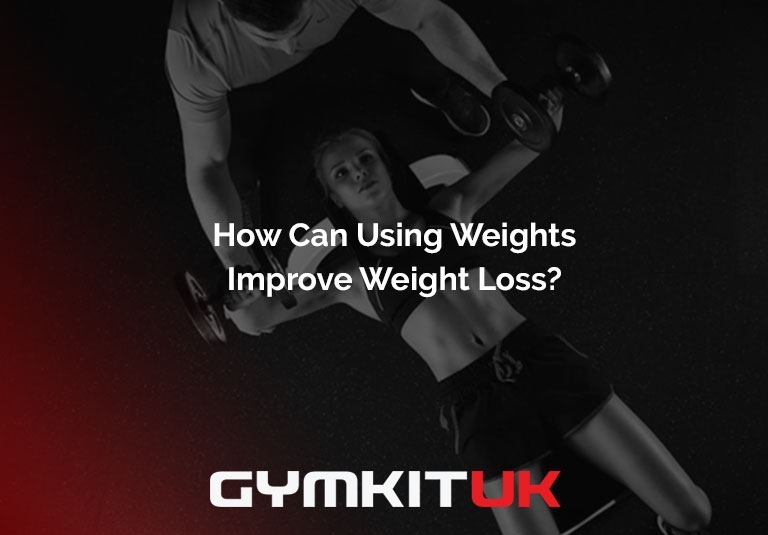 Gymkit UK News Blog - How Can Using Weights Improve Weight Loss? How Can Using Weights Improve Weight Loss? Recent research has shown that weight (or resistance) training can greatly reduce a number of health risks as well as aiding in weight loss. This type of training has been proven to have a positive effect on blood pressure, insulin resistance, resting metabolism and body fat, factors that are linked to illnesses such as heart disease, diabetes and cancer. Weight lifting workouts can dramatically help weight loss when used simultaneously with a weight loss diet. As well as burning fat it can help improve muscle tone and be used to target troublesome areas such as bat wings on the arms. If you are looking to lose weight then it is important to increase your current rate of metabolism. Lifting weights increases your body’s demand for oxygen, therefore, increasing your body’s metabolic rate which continues to stay raised long after the physical activity. Weight training will also help with the development of muscles which will help tone your overall physique, not only that but muscles are important in raising your metabolism. A pound of fat will only burn up to five calories a day but a pound of muscle can burn up to 20 calories. Weight lifting workouts also help strengthen bones and increase endurance levels so combining weights with a regular cardiovascular activity can significantly improve your health. In addition to this resistance training leads to stronger tendons and ligaments, which will discourage injuries such as pulls or tears in everyday activities. If you are unsure of where to start with weight training then seek the advice of a professional, they will be able to start you off with the correct weight for your body type. It is important to go slowly and protect yourself from injury, try to avoid using jerky movements when lifting a weight as this may cause damage. You should only lift a weight you are comfortable with and slowly progress as you build up your strength. If you are adding weight training to a current exercise regime it is important to ensure you also have rest days. It is imperative to not work the same muscle groups continuously, you should allow your body to rest on certain days as this will give it time to recover and develop muscles. Before starting a weight training session, you should perform some warm up exercises to prevent any injuries occurring then after training you should undertake some cool down exercises. Overall, adding weight lifting to an exercise routine will gain you many benefits not only will it improve your health but it will increase your muscle tone and help with weight loss. Weight training can be accomplished at home with the right equipment or at the gym, there are also dedicated classes such as kettlebell classes so finding the right type to suit you should be easy.